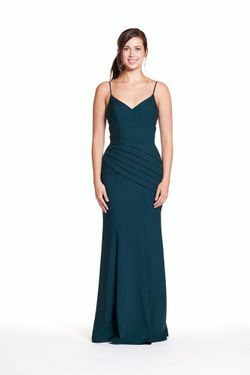 Bary Jay bridesmaid dress style 1874 - Luxe Chiffon/Matte Sequin Halter neck pleated bodice, slim mermaid skirt with stretch lining and open back. Center back zipper. Available in Floral sequins and short length.